GeoBlue Navigator for missionaries and volunteers is one of the very best international medical plans on the market. 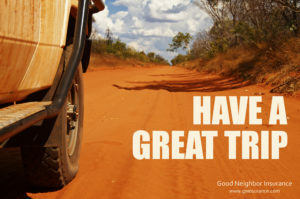 Good Neighbor Insurance has provided the GeoBlue Navigator and her sister international career plan, the GeoBlue Explorer to our guests, you,, since early 2000. The demand for a full comprehensive U.S. based international medical plan has grown briskly over the last few years. Now, with the GeoBlue Navigator the most comprehensive overseas medical insurance at a great price point is truly wonderful to share with our clients here at Good Neighbor Insurance. What is the GeoBlue Navigator international medical insurance? The GeoBlue Navigator health plan meets the needs of missionaries and volunteers by offering comprehensive worldwide benefits—inside and outside the U.S.—without the typical limits, eligibility conditions and benefit exclusions common among traditional plans. Unlike plans that limit furlough coverage, GeoBlue Navigator covers stateside tours, delivering the continuity and convenience of benefits that are truly seamless and portable. Why is the Geo Blue Navigator the top international medical insurance policy for our clients who are looking for a price sensitive budget as well as provide all the premium benefits? There are many reasons for sure. But here is a quick few to start off with. Network of over 720,000 doctors and hospitals inside the U.S. through the Blue Cross and Blue Shield Network. Network of doctors and hospitals in over 180 countries to see you. But if they are not on the list you can see any western style medical facility. Many overseas doctors have an office copay method to pay just like we have here in the U.S. If you receive medical treatment while in the U.S. you have cashless access to the Blue Cross and Blue Shield network in all 50 States. GeoBlue has created an tons of in-depth profiles of medical doctors and hospitals outside that are outside the U.S. so you can choose with confidence which medical facility fits you and your family the best. Who is eligible to apply for the GeoBlue Navigator International medical cover? Yes, any U.S. citizen and U.S. resident who is living outside the U.S. and who is younger than 75 at the time of application. Since the GeoBlue Navigator international medical cover is underwritten, at this time of writing this article, by 4 Ever Life Insurance Company, an A- (Excellent) by A.M. Best. 4 Ever Life is an independent licensee of the Blue Cross Blue Shield Association.